Today was sports day for my youngest daughter. 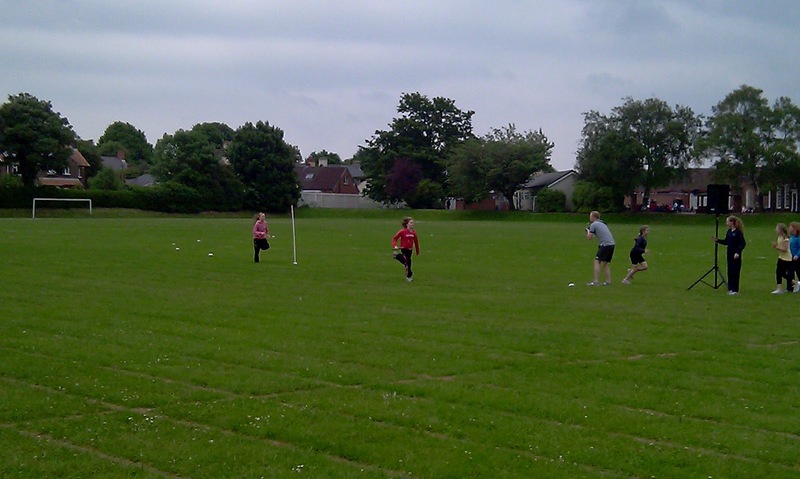 This means, the last EVER sports day I will be required to attend as a parent! As my daughter prepares to leave primary school in 6 weeks time, I’m slowly ticking off the ‘lasts’ (last school concert, last school trip, last sports days, and soon, last round of teachers’ pressies!). 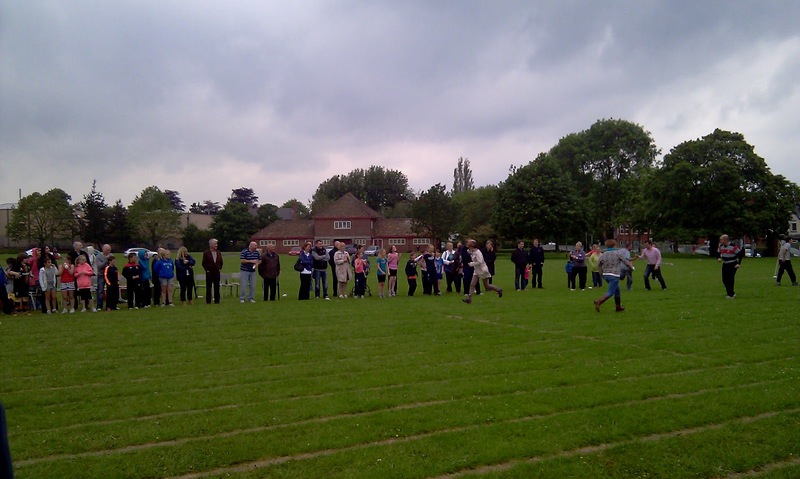 Now my daughter’s primary school don’t usually have a parents’ race, but this year they decided it would be hilarious to humiliate the parents by making them compete in 4 x 80m relay races! Typical this is the one year hubbie decides not to attend! And so wracked with guilt at not being able to attend all the required school outings, I allowed myself to get talked into representing Room 13! (My eldest daughter was with me and almost turned green at the thought of being showed up by mum!). I hadn’t come prepared, and had to borrow a pair of trainers from my daughter’s 11 year old friend! Oh why did I choose today to wear the trousers that are too short in the leg (they were tucked down boots up til now) with socks that didn’t match! I leave you with the photographic evidence (see if you can spot me!) 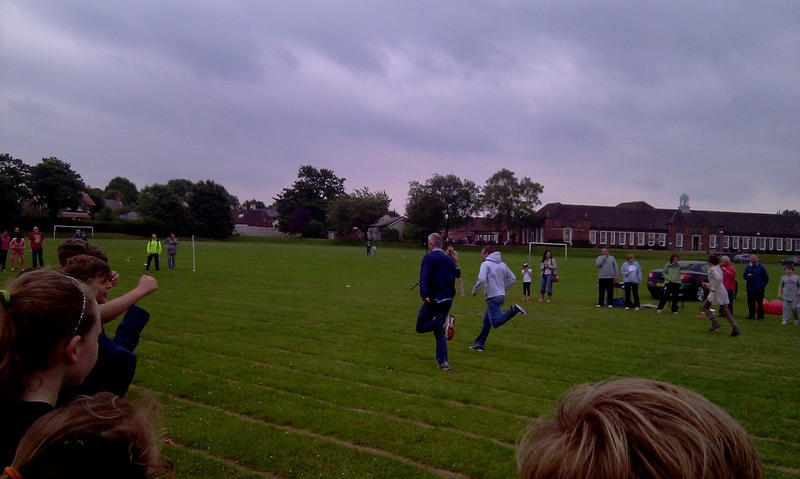 and the pride that as my team came 3rd, the first 3 teams had to run again, only this time against the teachers! No guesses for who came last!! I left school today with one child grinning from ear to ear in pride, the other hastily distancing & disowning herself from me and my leg muscles screaming at the fact they haven’t been made to run in about 20 years! I think I might be paying for it tomorrow! Previous Previous post: Pippi Quilt is Finished! Next Next post: It only hurts when I laugh!